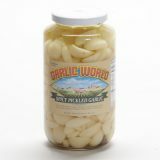 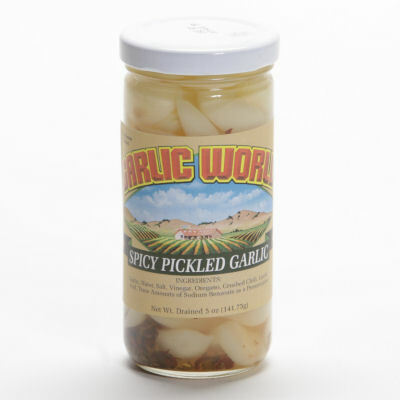 Whole garlic cloves pickled with a spicier blend of spices and ready for your favorite recipes. 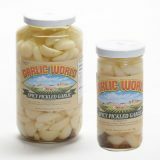 Just chop them up to include in any of your favorite recipes or add to an hors d’oeuvre tray for a little kick. 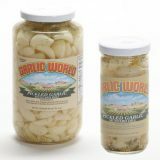 Garlic, Water, Salt, Vinegar, Oregano, Crushed Chili, Lactic Acid. Trace amounts of Sodium Benzoate as a preservative.